The NAMM Show and IMSTA (International Music Software Trade Association) will showcase the evolution of music software in Software.NAMM, a curated exhibit collection showcasing the latest music apps and technology. This dedicated space is ideal for learning and experiencing quality demonstrations, providing software developers with the unique opportunity to connect with an international audience of buyers and influencers across music products, pro audio, live sound and event technology. Exhibitors have the unique opportunity to connect with a wide range of buyers and influencers, including music retailers, pro audio professionals, concert venues and houses of worship. It is estimated that the collective audience of The NAMM Show makes more than $11 billion in annual purchases. More than 1,500 media outlets utilize The NAMM Show to review new products, spot trends and report the news of the music and sound industry to a worldwide audience. Exhibitors benefit from exposure to leading trade media, mainstream outlets, and new media across social channels and live stream leaders. Your best customers and top prospects attend NAMM to garner business education across multiple learning tracks. Attendees can develop retail skills at NAMM U, learn the latest for sound, studio and stage pros at TEC Tracks, explore the future of audio, VR, AI, wearables with A3E as well as getting Dante certification training. 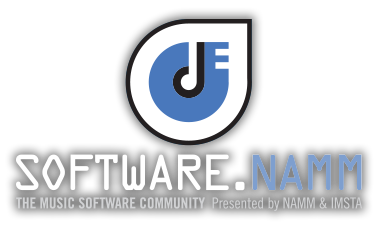 The Software.NAMM collection is integrated in to The NAMM Campus, offering a wide range of attendees convenient access to the latest software, apps and technology solutions. Software is the key to music and music production today in the world.